The internet is full of fabulous facts about everything from current events to the history basket weaving and bagel fun facts. Because of this, as we research for our daily content on food trucks, food carts and street food, we stumble upon some items of knowledge that we just did not know. For today’s Did You Know we will look at bagel fun facts. Bagel Fun Facts: Bagels were first created in 1683 to honor King John III Sobieski of Poland, after he protected Austria’s people from an attack by Turkish invaders. Bagels are the only bread that are boiled before baked. 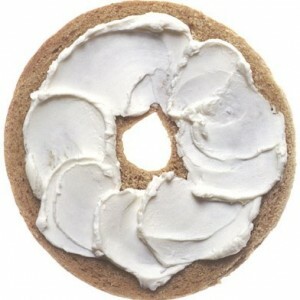 Once the bagel dough is shaped into a circle, they are dipped in boiling water for 3 to 5 minutes on each side. After that, they are drained and baked for about 10 minutes. That little hole in the center isn’t just for looks. The bagel hole comes in handy to thread multiple bagels onto a dowel, making transport easily, especially for street vendors selling the doughy delights. February 9th is National Bagels and Lox Day. July 26th is National Bagelfest Day. 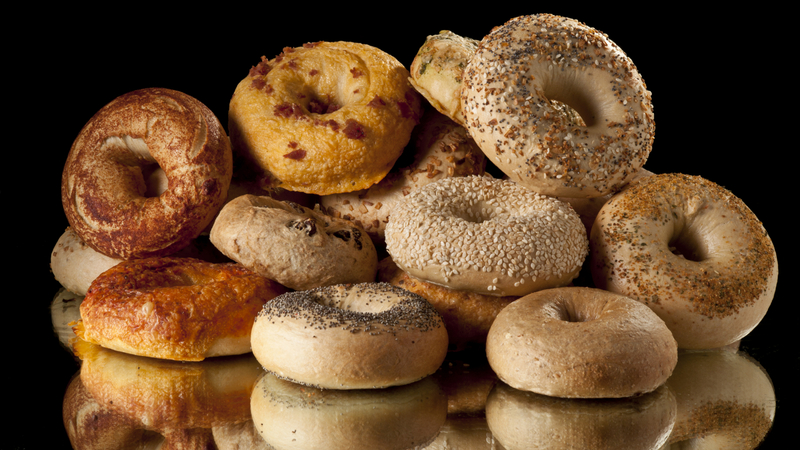 December 11th is National “Have a Bagel” Day. North Carolina molecular scientist Robert Bohannon developed Buzz Donuts and Buzzed Bagels- caffeinated donuts and bagels in 2007. They contain the caffeine equivalent of 2 cups of coffee. Despite the myriad bagel flavors available from blueberry to the “everything” bagel, the most popular choice is plain, followed closely by sesame. Bruegger’s owns the title of World’s Largest Bagel; They baked an 868-pound bagel August 27, 2004 at the Great New York State Fair in Syracuse, N.Y. The previous record was set in 1998 at 714 pounds. Please feel free to let us know if we may have missed any bagel fun facts in the comment section below. We always love to add to these lists. If we can verify that the facts is just that, a fact, we will give the reader credit in the article. Reference: Wikipedia: Fun Facts about Bagels.